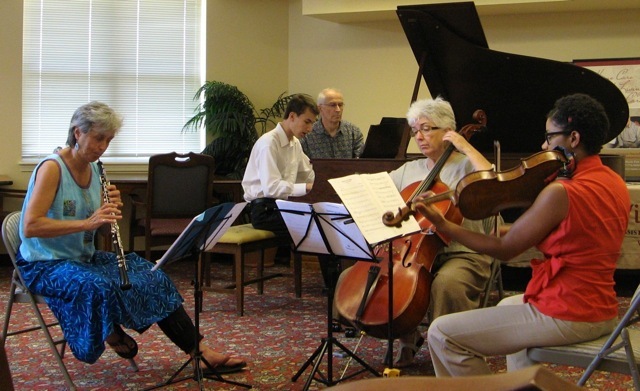 The Winsor Music Outreach Project takes students and professional musicians from the Boston area out into the community to perform in retirement communities, rehabilitation centers and recovery homes. This program aims to fill the spiritual and artistic needs of these communities while giving performers a chance to communicate with an audience through music and conversation. Each concert is followed by a time for listeners and performers to interact, ensuring an important social dimension to the program. We have a profound belief in the healing power of music and its value in today’s world. They are given the chance to bring the therapeutic power of music to people less fortunate than themselves, and expand their awareness of the communicative power of music. They learn to cherish their own extraordinary talents, and to use their music-making as an opportunity to share those talents with the world around them.